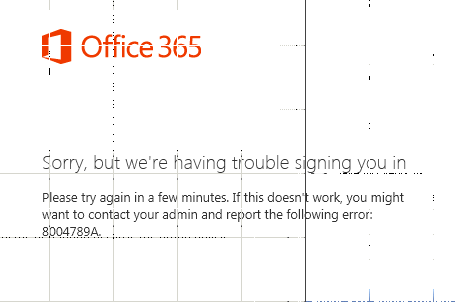 When a federated user tries to sign in to Microsoft Office 365 from a sign-in webpage whose URL starts with https://login.microsoftonline.com/login, authentication for that user is unsuccessful. 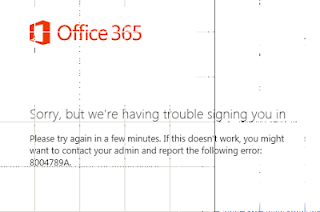 The user receives the following error message: "Your organization could not sign you in to this service"
This issue was resolved by converting the federated domain to standard (managed), and then converting it back to federated. I am not sure if it was relevant to this issue (as some threads suggested), but when I initially converted my domain to federated, I had -SupportMultipleDomain switch on. I am assuming that it is not relevant because I still used the switch when I converted the managed domain to federated in the second time. In which way you resolved it ? I've tried to reinstall MS c++ visual studio. I found this file in internet http://fix4dll.com/msvcr110_dll but i don't know, is it safe to download it and copy to my system folder. So, share your secret!